This approach to pushing developments through against local wishes is getting quite common. Developers can afford the most expensive barristers and appeal costs can be very high. Planning inspectors approve nearly three-quarters of housing developments where a council lacks a five year land supply. This means that councillors and officers come under immense pressure to approve even undesirable developments. In this case, officers recommended approval of the original scheme. There will be no material reason for officers to recommend anything other than approval of these ‘new’ proposals. But why should the planning committee change its mind and approve a scheme that is almost identical to the one it rejected? The difficulty the promoters of the scheme face is that they can’t change their proposals too much, otherwise council officers might feel they need to change their original recommendation to approve the scheme. Having submitted a near identical application, the developers are now in a near win-win situation. If the planning committee backs down, they will get their scheme approved. If the committee rejects the application for a second time against officers’ recommendations, that will strengthen the developer’s case with the planning inspectorate. It will also increase the likelihood of being awarded the costs of the appeal in full if the planning inspector agrees to the scheme. That bill will land on Shropshire Council. 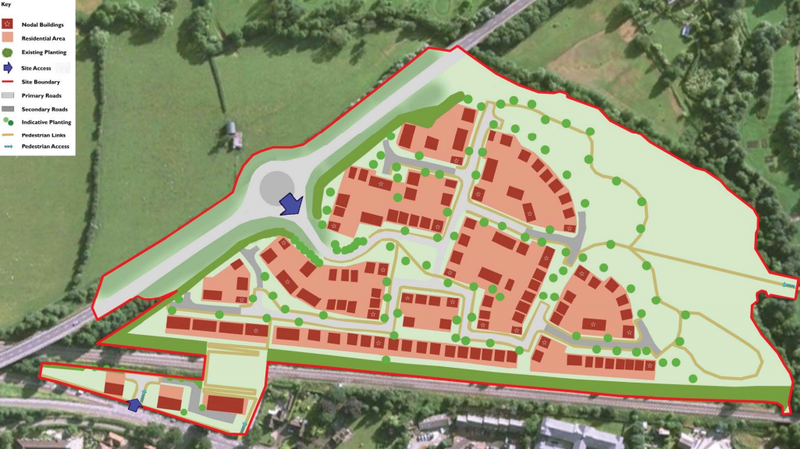 This new proposal from Tesni creates huge challenges for the council, which will have to take the plans back to the planning committee that rejected the original scheme. Yet nothing substantive has changed other than the developer’s threat to impose appeal costs on the council. At the same time, the public examination of Shropshire Council’s planning blueprint, SAMDev, is getting underway. There is everything for developers to play for during the examination. Some are already arguing that Shropshire does not have the required five year land supply. They are saying that extra sites must be allocated through the SAMDev process, or that speculative developments not in SAMDev are approved. Whatever the merits of the Bromfield Road scheme, I don’t approve of aggressive tactics by developers. Public engagement in the original scheme was very poor – there wasn’t even a public exhibition. There hasn’t been any public engagement at all this time. The developer hasn’t even updated its website. And while we are talking of updating, the transport assessment still refers to the 704 bus which has not run for years. The design and access statement thinks the 722 serves the Leisure Centre, which it never has. These developers are so disengaged with Ludlow, they can’t even get their facts right about something as simple as buses. I think it’s quite insulting that the developers claim that the planning committee debate on the original proposal was “misguided” and that “the reasons for refusal were not entirely clear from the debate.” Planning committee members work very hard to study huge volumes of documents and to understand the technical issues as well as the broad principles of a development. Like a jury, planning committees comprise lay members, not professionals. They take professional advice, which they are fully entitled to reject. It doesn’t mean they are always right. Planning decisions are about weighing up a range of considerations and that can be a hard balancing act. But right or wrong in developers’ eyes, planning committee decisions should be respected. That’s the way that democracy works, not by kowtowing to heavy handed tactics from developers. Unfortunately, aggressive action by developers is not a material reason for rejecting a planning application. I am a member of the South Planning Committee. On planning applications in Ludlow North such as this, I have a right to speak to the planning committee, but I cannot engage in the subsequent debate or vote. 1.19 The applicant intends to submit an appeal to the Secretary of State against this decision and this is likely to be determined at a Public Inquiry sometime early in the New Year. Officers are well aware of the Council’s poor prospects of defending the appeal and the considerable potential for an award of costs against the Council should it fail to substantiate and justify its decision with appropriate evidence. That was the basis of my blog and the accusation of being heavy handed. I stand by my words. At the same time, the agent told me Shropshire Council has the opportunity to take the Fishmore View footbridge out of the plans. If the council refuses the new application, the footbridge will be kept in when the plans go to appeal and the agent expects the planning inspectorate to approve it. I stand by my words about the heavy handed approach to this application.